Spring season has already started and WordPress Developers around the World have released the Fresh new WordPress Themes. Most of the WordPress themes listed in this post have many premium features like Theme options, Responsive Styles, customization options and Translation support. We have picked the best Free WordPress themes to use your Personal and Business sites or any other sites. All the themes are professionally designed and can be used to renovate your site in this year 2014. 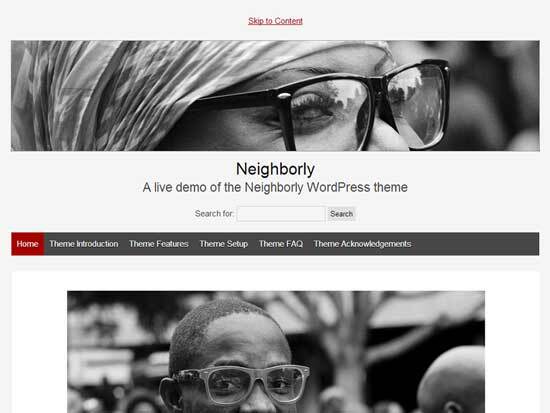 In this Free WordPress Themes collection,We have picked the Fresh free Elegant WordPress Themes for May 2014. Let’s hear your thoughts about these WordPress templates in comments. 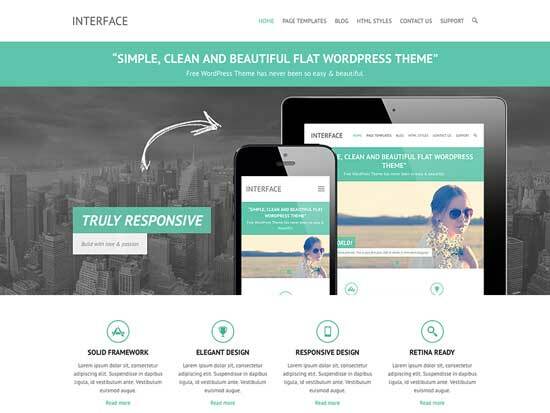 It is a multi-purpose free WordPress theme. This theme can be used for News/Editorial sites, Technology Magazine blogs etc. Silver Mag comes with 3 columns, unlimited homepage Magazine style Widgetized sections. Theme has come with WP Nav menus, Widgetized sidebars and Popular Widgets including stylish social Icons widget. Interface is developed by the Theme Horse. It is a Simple, Clean and Flat Responsive Retina Ready WordPress Theme. It offers many WordPress features like Theme Options, Page Templates, social Icons and Custom widgets. You can customize this theme to make it unique theme for your site. 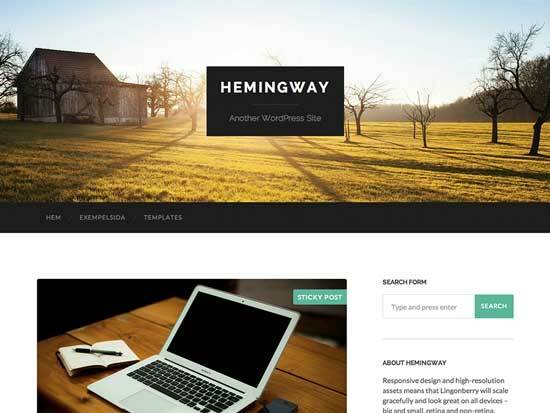 Hemingway is a clean, beautiful and responsive two-column theme which is developed by the Anders Noren. It offers many features like parallax scrolling effect, custom accent color, custom logo upload, custom widgets and WordPress localization support to translate the theme to your language. A general purpose theme that is accessibility ready as well as responsive. 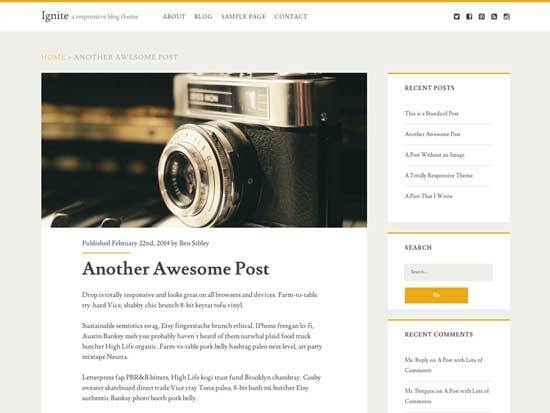 You can use this Free WordPress theme for your personal blog. 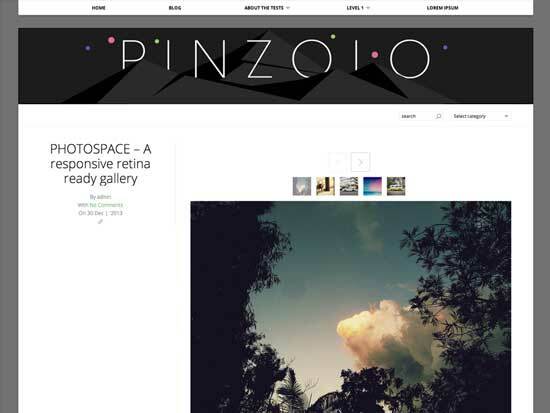 Pinzolo is a Responsive WordPress Theme that provides the easy to customize the options. It is optimize to view in mobile screens and looks perfect to view. It has Ajax loading feature to load the posts without leaving the current page. It offers the big featured image for blog posts which quite awesome when you view in the screen. 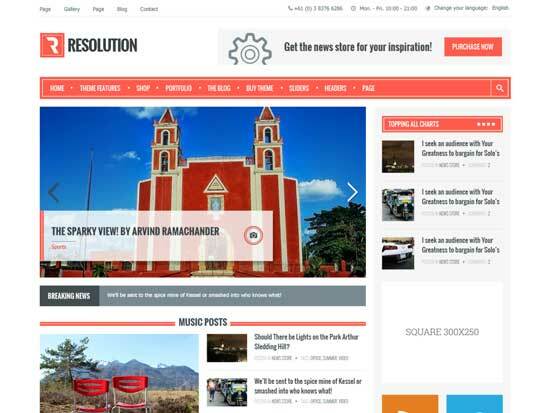 Resolution is a theme for News and Magazine style blogs. It has come with Responsive style layout. Theme provides more flexibility and you can have many customization options. 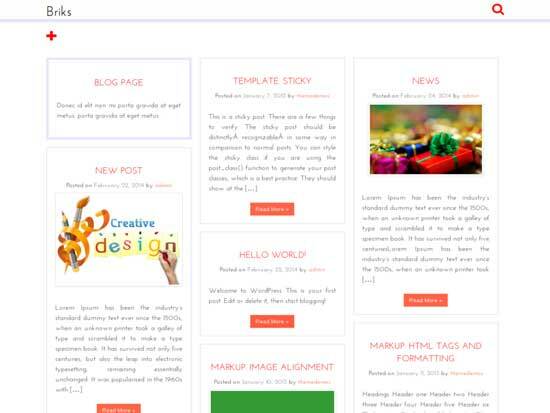 Ignite is a responsive blog theme. It is a simple with a lot white space. You can use this for personal blogs. 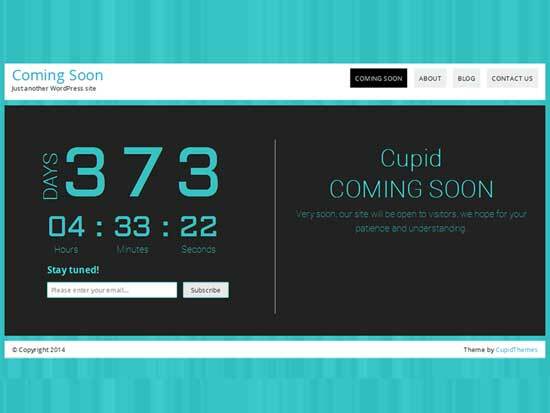 Count Down WordPress theme can be used for Construction sites, for an event or website launch. It can also be used as Donation pool Counter. You can easily setup the theme with the options panel. Briks is a free WordPress theme which is pretty much like Pinterest style. In this theme, you blogs images and posts rearrange themselves like a mosiac or bricks structure. 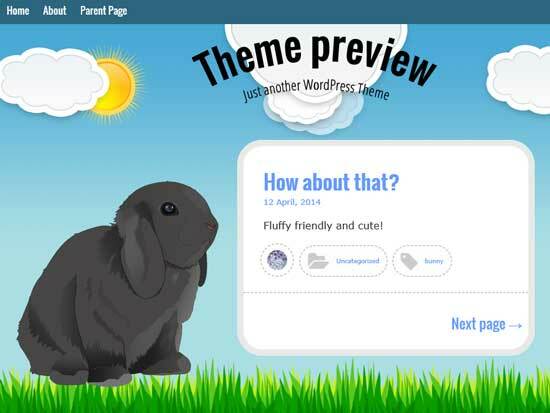 ‘Bunny’ is an animated one column WordPress theme suitable for pet lovers and kids. It has come with WordPress features like sticky post, one custom menu, a widget area in the footer.